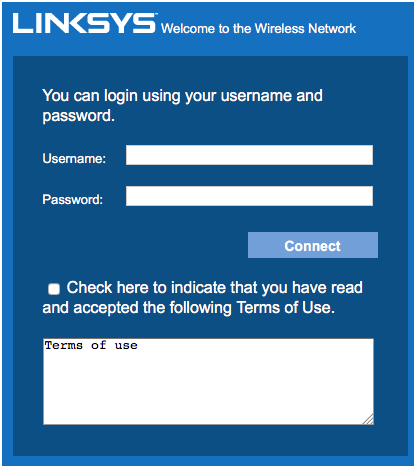 This article will show you how to configure the Captive Portal feature of the Linksys LAPN300 or LAPN600. Follow the instructions below to learn more. 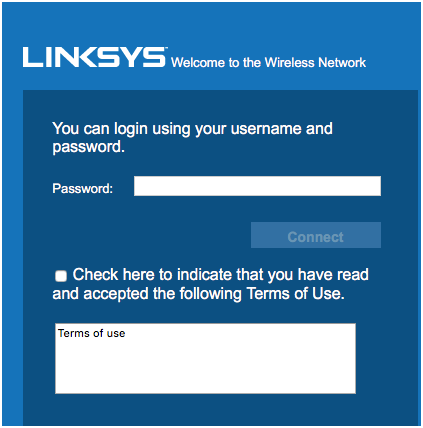 NOTE: Captive Portal is a new feature of the Linksys LAPN300 or LAPN600 that comes with the firmware version 1.0.14.001 or above. 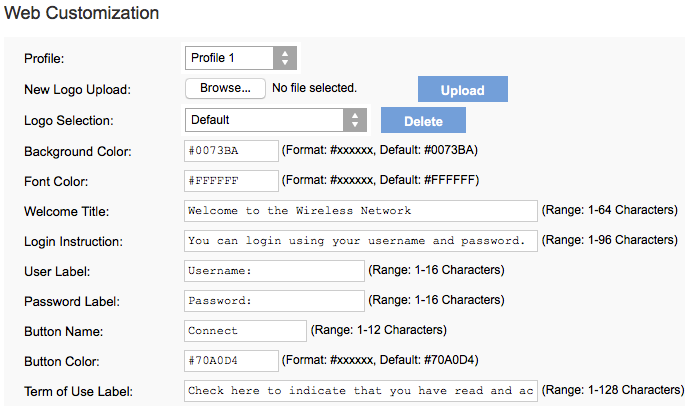 If your access point doesn’t have the firmware, download the file by clicking here for LAPN300. For LAPN600, click here. 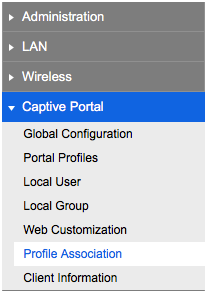 Open the web-based setup page of your access point. For instructions, click here. 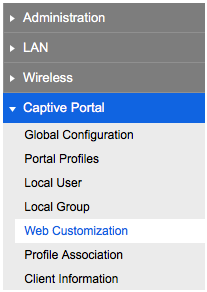 Select Configuration and click Captive Portal > Global Configuration. NOTE: A profile is a defined set parameters of login authentication, landing page, session timeout, etc. for your Guest network. The system supports up to two (2) profiles. 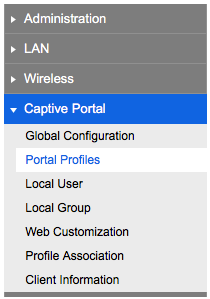 Select a Profile Name from Captive Portal Profile. There are two (2) pre-defined Profile Names in the drop-down list. Select one (1) and go the to next step. NOTE: In this example, authentication is set to Password Only. On the other hand, if the Authentication is Local, you need to configure the Local User and Local Group first as the authentication will check against the user database locally. Select the Profile Name that you like to customize the splash page. One Profile maps to one customized login screen. 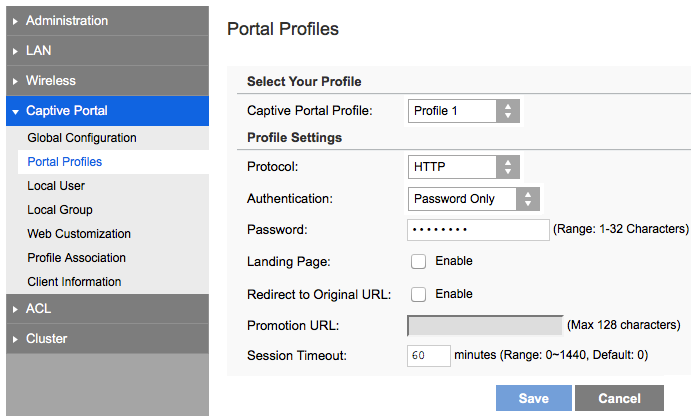 In this example, Profile 1 is configured in Portal Profiles page. Configure the parameters for Profile 1. Click Help on the top right corner of your screen if you need assistance with each parameter. Use the "Preview" button to confirm that your customization is what you desire to display. Click once configuration is done to apply your changes. Use any wireless client device, e.g. laptop, tablet, mobile phone to connect to LinksysSMB24G SSID. After the client connects, it will get an IP Address assigned, but has no Internet access yet.